How to make your small bathroom look spacious and bigger? Implement these 6 tips and make your tiny bathroom look massive and impressive. You are here: Home » How To Make Your Small Bathroom Look Massive! Every standard bathroom should include the basics: sink & vanity, toilet, and a shower or bath. 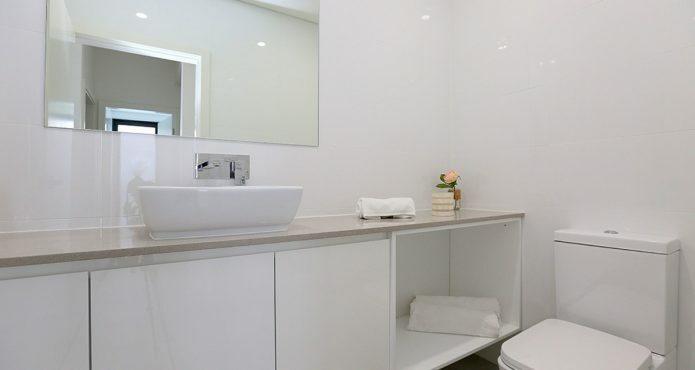 Even the smallest bathroom needs to include these essential elements, so how can you maximise on the remaining space and make your small bathroom look bigger and more impressive than it actually is? If you are renovating, creating or upgrading a bathroom in a small area, we’ve put together a few elements to consider – including some simple visual tricks that can have surprisingly impressive results! As well as playing an important role in bathroom design both practically and in creating the desired mood, correct and carefully considered lighting will assist in making any space look and feel more open. Natural light directed into a bathroom through windows or skylights is ideal, but not always achievable. This is why it is beneficial to include an effective lighting scheme in your bathroom design, comprising of multiple light sources working together to achieve the optimal result. A bright, light room with minimal shadowing will help to make the area feel more open and vast. 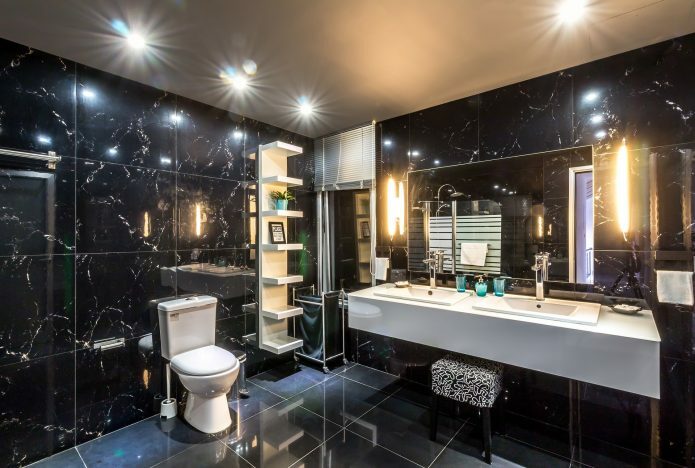 A combination of ceiling lights and wall sconces can provide practical light sources to complement the various tasks carried out in a bathroom, also creating the desired mood or setting – all without taking up additional space. One of the key techniques to making a room look and feel larger is to avoid dividing the space up into sections, as this can cause the entire area to appear smaller. Keep this in mind when selecting the colour scheme for your bathroom, as using one uniform colour throughout will help to visually open the space up. 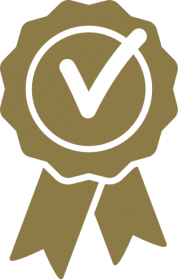 This includes the ceiling: painting the ceiling the same colour as the walls will expand the room visually, whereas using a contrasting colour on the ceiling can make it look lower and the area feel smaller – particularly when the ceiling is darker than the walls. Pastel, neutral and cooler tones are recommended to create a feeling of serenity and spaciousness – reserve brighter pops of colour for your accessories and towels. 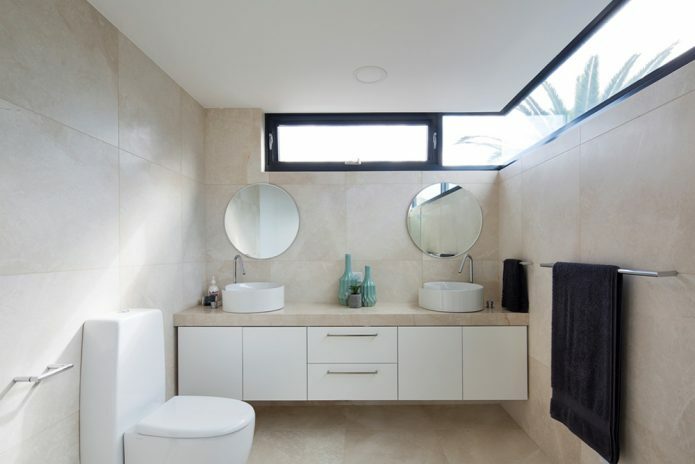 All-white bathrooms are one way to instantly make an area appear more vast, creating a clean and seamless look by not dividing the space with contrasting colours or borders. Note that you can still incorporate a variety of textures into the room, being all one colour doesn’t mean it needs to be plain! Think stone, tile and fabric accents to create an abundance of visual interest. Continuing with the theme of keeping elements consistent to open a room up – if your bathroom is only partially tiled, consider matching the paint on the walls to the colour of the tiles. This will help the walls blend seamlessly and increase the feeling of spaciousness, removing the visual barrier lines formed when contrasting colours are used. Small bathrooms created in a uniform colour will appear visually larger, so try to keep your colour palette consistent and avoid creating jarring lines and barriers that can shrink the space. 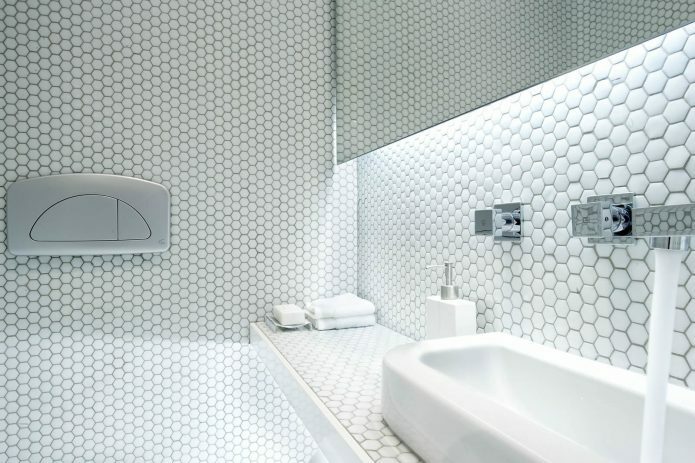 Another way to achieve this seamless look is to use consistent tiles throughout the room and continue tiles all the way to the ceiling, minimising dividing lines on the walls and creating less contrast, which tricks the human eye into seeing a more expansive space. The team at Jude’s bathrooms are experts in tile selection and can show you an array of beautiful bathroom tile ideas to suit any taste. One method for constructing a visually open and spacious bathroom within a small area is to create a seamless transition, by using the same materials wherever possible. Continuing floor tiles into the shower and applying grout that matches the colour of the tiles can help to achieve this uniform look, meaning the room won’t appear ‘divided’ into sections – leaving you with a clean space that flows naturally and is visually more expansive. In oddly shaped bathrooms and those where space is lacking, or consists of strange angles in the roof or walls, carefully selected materials placed in the correct locations can give the visual perception of more space – by drawing attention to the widest point in the bathroom. Strategically placed tiles, paint colour or shelving can be used to accentuate the longest horizontal areas in the room, helping to make it feel wider and increasing the perception of spaciousness. Similarly, in a bathroom that is particularly long and narrow, visual aids can trick the eye into thinking the space is wider than it actually is. Horizontal floor and wall tiles can visually ‘push’ the walls apart and make the room look wider and less cramped. A fairly simple but effective way to make your small bathroom feel more expansive is to use clear glass for the shower screen. This can have two advantages: replacing shower curtains or textured glass with a clear screen removes these visual barriers and helps to create the desired seamless look; and continuing the glass so that it almost touches the ceiling can make the ceiling appear higher, therefore making the room feel bigger. A golden rule with small bathrooms is: less is more. If you don’t have room for a separate shower and bath, either install a combination bath & shower or simply skip the tub altogether. Similarly, if you don’t require maximum storage in your bathroom – install a smaller vanity to allow for more free space, to help the area feel less cramped. Also consider your choice of door: doors that swing inwards cut into floor space, whilst sliding doors are a great option to save room both physically and visually. Mirrors are an important feature in every bathroom, and play an important role in creating the illusion of more space. Mirrors will reflect all the light in a room, as well as any colours or patterns, and the more light they reflect – the larger the bathroom will appear. A large mirror on the wall will not only look grand and visually push the ceilings to look higher, it will make the space appear larger – particularly when positioned so that it reflects a window, as this will create the illusion of multiple windows in the one room. It is important to prioritise storage in any bathroom. A cluttered space will always look busier and smaller; so the less items on display, the larger the room will look. Whilst storage is a necessity, there are many space-saving options available on the market. Building recessed shelves into the often unused area behind walls is a practical and aesthetic storage option that saves space by building into walls, rather than sticking out of them. Recessed shelves and niches not only save on space, but they add a visual depth to the room that gives the illusion of making walls seem further away than they actually are. 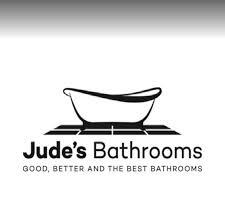 The team at Jude’s Bathrooms have extensive knowledge in modern bathroom design ideas, and are happy to assist with any enquiries you may have. 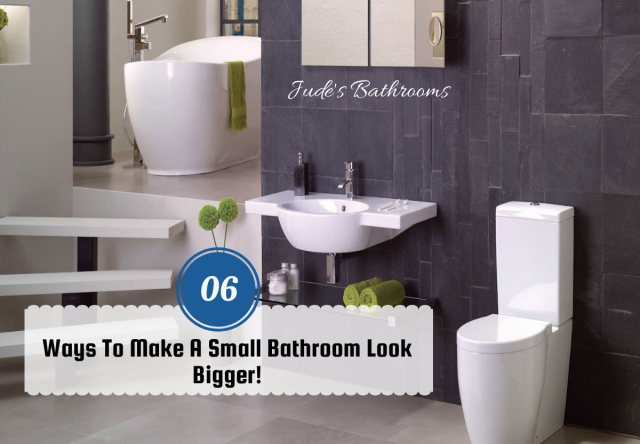 If you are looking for more tips and tricks on how to make your small bathroom look massive, or you are considering a bathroom upgrade or renovation, contact Jude’s Bathrooms today for expert advice on how you can bring your bathroom ideas to life.